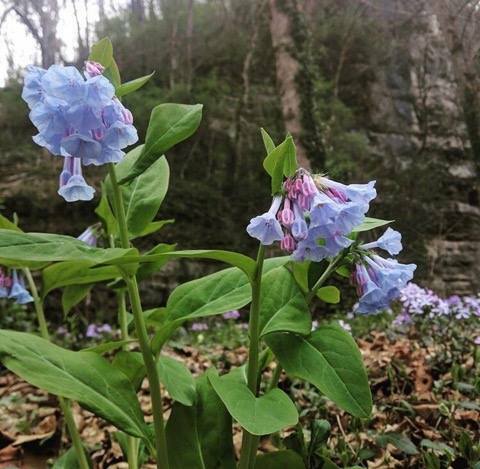 Our Bluegrass River Run Sponsor, Lexington's Boone Creek Outdoors is hosting a wildflower hike led by Julian Campbell. Julian was born in England, undergrad at Cambridge; MSc at Univ of Wales; PhD at Univ Ky 1980. Worked almost 20 years for The Nature Conservancy in KY—now a private consultant. Main interests are plant taxonomy, ecology and conservation, especially in east-central North America. Involved in several horticultural projects involving native plants, starting with work for UK in 1986 to collect material for the Arboretum on Alumni Drive. Currently growing several local species for use in central Bluegrass. Also working with New York Botanical Garden on basic taxonomy of ash trees in the face of threat from Emerald Ash Borer. Advocating more coordinated cooperation amongst plants-people, who historically tend to be loners and poorly organized, if at all, for political purposes. Moderate hike with elevation change and some scrambling.